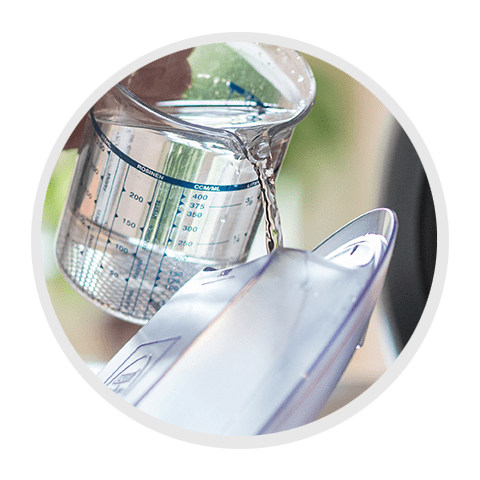 Descale quickly and reliably—the patented formula of Power Limescale Remover works using only natural fruit acids and is fully biodegradable. Limescale can impair the performance of your appliances, causing heating elements to consume more energy and tubes to become clogged. Heavy limescale deposits (hard limescale) can even destroy components. This can easily be prevented with regular descaling. 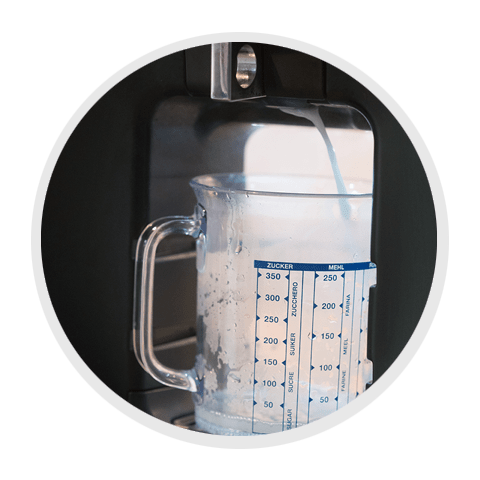 With HEITMANN Power Limescale Remover, you can remove limestone safely and effectively from all coffee machines (such as pod, capsule, and espresso machines as well as fully automated coffee machines), electric and traditional kettles, egg boilers, and hot water appliances. Your appliances will last longer and consume less energy. 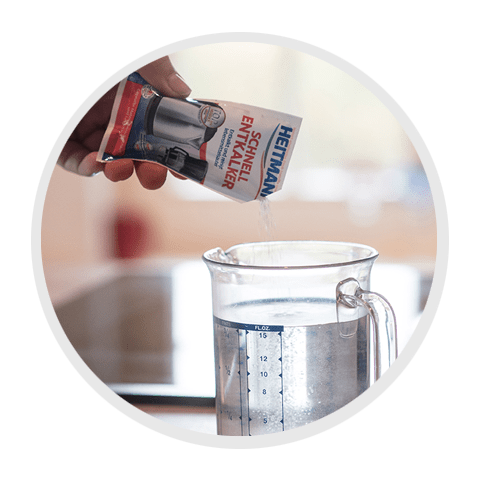 HEITMANN Power Limescale Remover with its patented formula works using only natural fruit acids—citric, malic, and tartaric acid—and is fully biodegradable. Single-use sachet for two applications. The Power Limescale Remover acts extremely quickly so there is no need to leave the product to work. It descales safely using the natural power of citric, malic, and tartaric acid. Dissolve the contents of one single-use sachet in ½ litre of water. For extreme limescale build-up, use two sachets. Solution to appliance’s water tank. Switch on the appliance and allow it to run through, or heat up the solution. After descaling, rinse the appliance by refilling twice with water. Descale your coffee machine and kettle easily and quickly with the handy twin pack. Achtung Verursacht schwere Augenreizung. Nach Gebrauch Hände gründlich waschen. Augenschutz / Gesichtsschutz tragen. BEI KONTAKT MIT DEN AUGEN: Einige Minuten lang behutsam mit Wasser spülen. Eventuell vorhandene Kontaktlinsen nach Möglichkeit entfernen. Weiter spülen. Bei anhaltender Augenreizung: Ärztlichen Rat einholen/ärztliche Hilfe hinzuziehen. Ist ärztlicher Rat erforderlich, Verpackung oder Kennzeichnungsetikett bereithalten. Darf nicht in die Hände von Kindern gelangen.